Get out and enjoy the beautiful weather with this handy Trademark Games Professional Horseshoe Set! 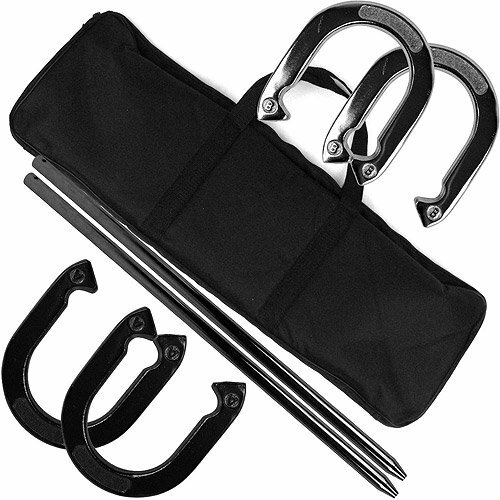 This set is the heavy-duty horseshoe set for the real player! For league play or just for your next BBQ, picnic, party or reunion! Everyone will enjoy an exciting game of horseshoes in the park or in your backyard!